On December 9, 2014 InterExchange hosted an arrival orientation for our Work & Travel USA participants from Argentina, Brazil and Paraguay. 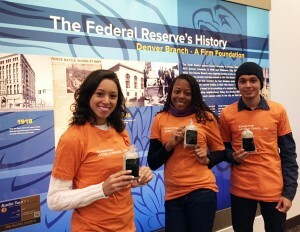 The orientation took place in the "Mile-High City" – Denver, Colorado, and was followed by a cultural event at the Money Museum of the Federal Reserve Bank of Kansas City, Denver Branch. During the orientation participants learned the Work & Travel USA program rules and regulations and enjoyed an unusually warm December day in Denver. 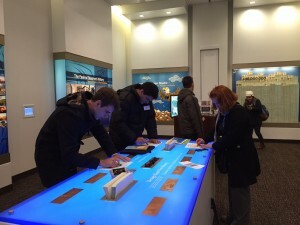 After a visit to the local Social Security office, the group toured the Money Museum and its numerous interactive exhibits. This cultural event offered everyone a great opportunity to learn about the American financial system, banking, the economy and the Federal Reserve. 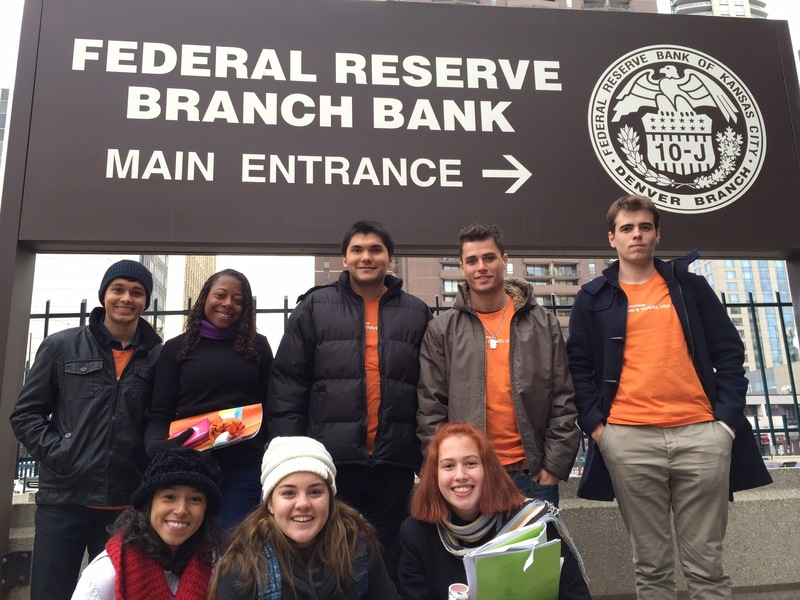 The students were able to watch the video, "The Fed and You", which explained the role of the Federal Reserve in the financial system of the United States, its impact on community development, crisis response and various professional career paths that one can pursue when working for the Federal Reserve. The group also took pictures in front of a $30 million currency display! The students were curious to learn what happens to unfit currency and took home a gift of shredded U.S. money as a souvenir. The orientation and the cultural event in Denver were a great way for participants to start off their Work & Travel USA programs and learn about American history and culture!